This year I’m looking forward to celebrating Friendsgiving ⏤ Thanksgiving dinner with a group of friends. Looking to try something a little different this year? Celebrate the holidays with your favorite pals, and enjoy the quality time with friends around a festive feast. 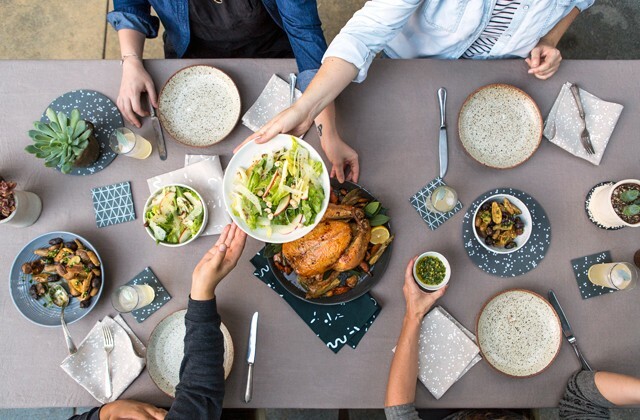 Here’s my advice for throwing a fun Friendsgiving…. 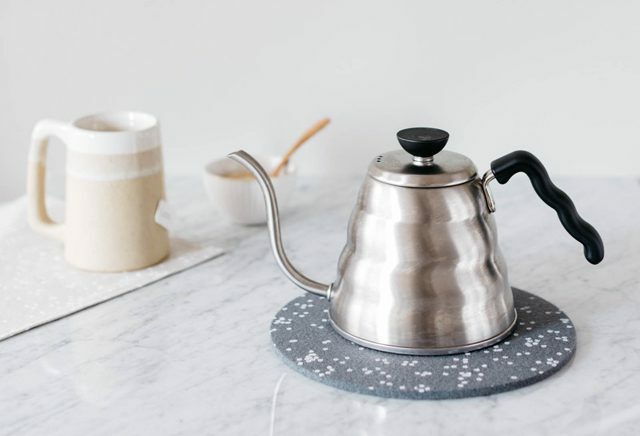 What is a trivet, and why do I want one? One of the products I was excited to debut back in 2014 were the 100% Marino wool felt trivets. The material is so wonderful to work with – thick and luxurious, with super saturated color. Trivets are similar to drink coasters, in that they protect your furniture from heat or condensation. 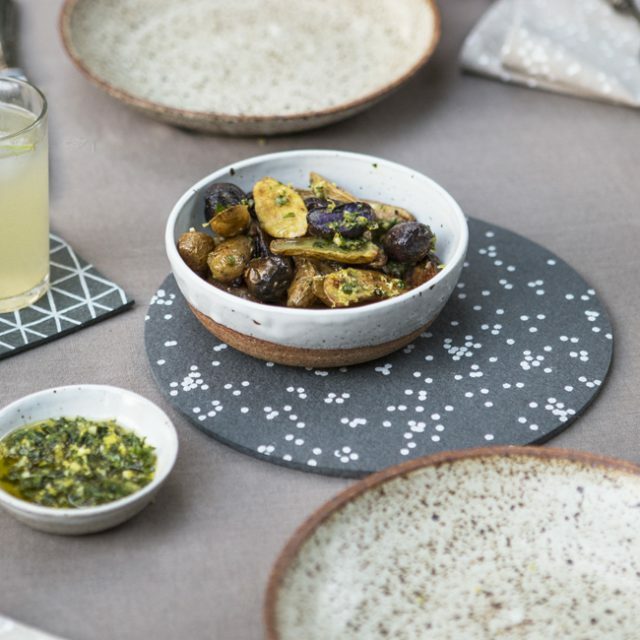 At it’s simplest, a trivet is an object placed between a serving dish and your dining table, protecting the table from water rings or scratches. Trivets have been around for centuries, in both utilitarian and incredibly decorative designs. 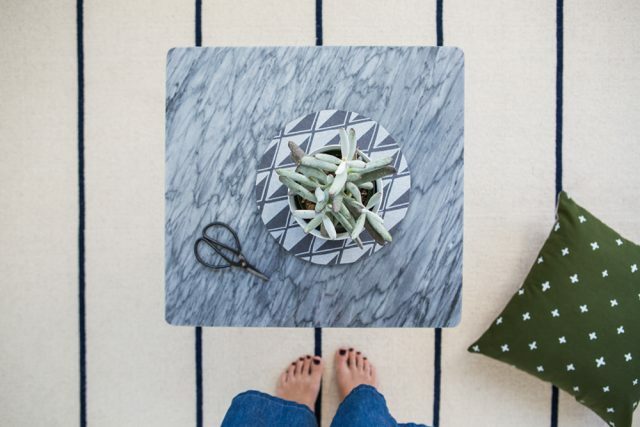 I’ve found that trivets can pose as helpful design elements beyond the dining room table. I’ll also use them under a vase of flower or a potted houseplant, protecting my coffee table from scratches. Plus, they come in handy for entertaining – they are just the right size to hold a fresh batch of coffee brewed in my Chemex, or a pitcher of lemonade. Cotton & Flax felt trivets beautify your table while protecting your table from heat and condensation and preventing scratches. 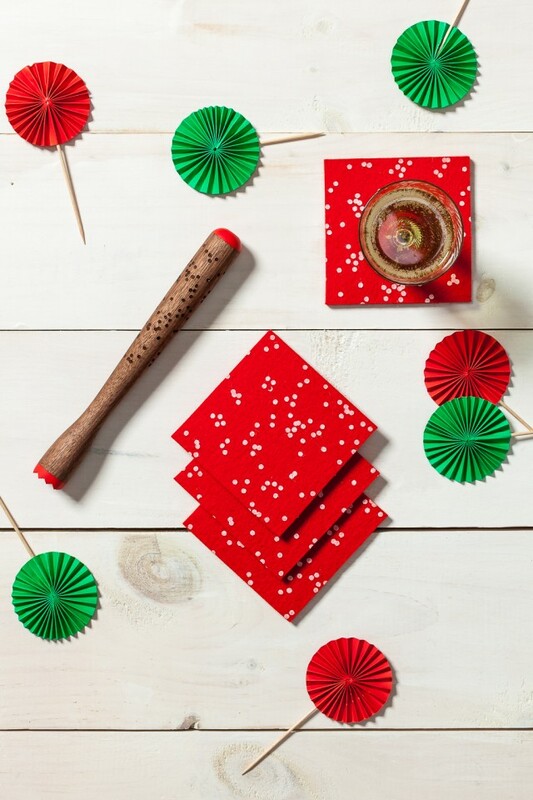 Find our beautifully modern trivets in our online shop! The holidays are here, and that means a slew of family gatherings and dinner parties full of delicious food and memorable conversations. 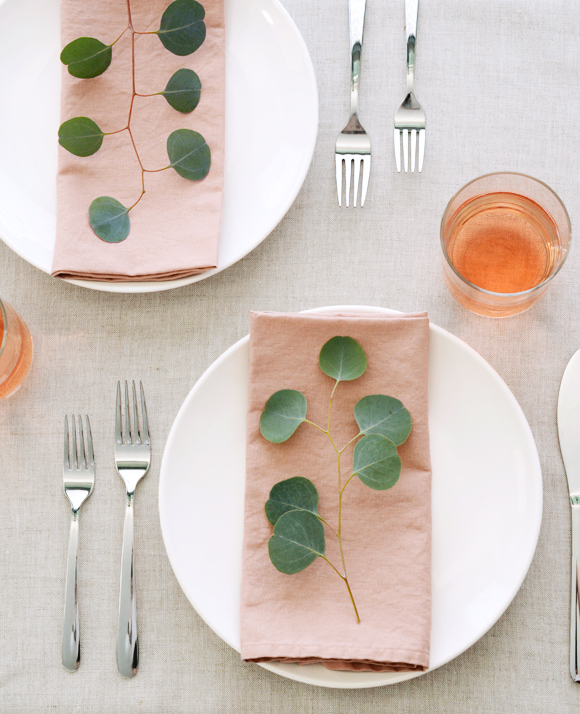 Throwing a dinner party can be just as much fun as attending, but you may be looking for some dinner party décor ideas to spruce up your table in time for holiday entertaining. 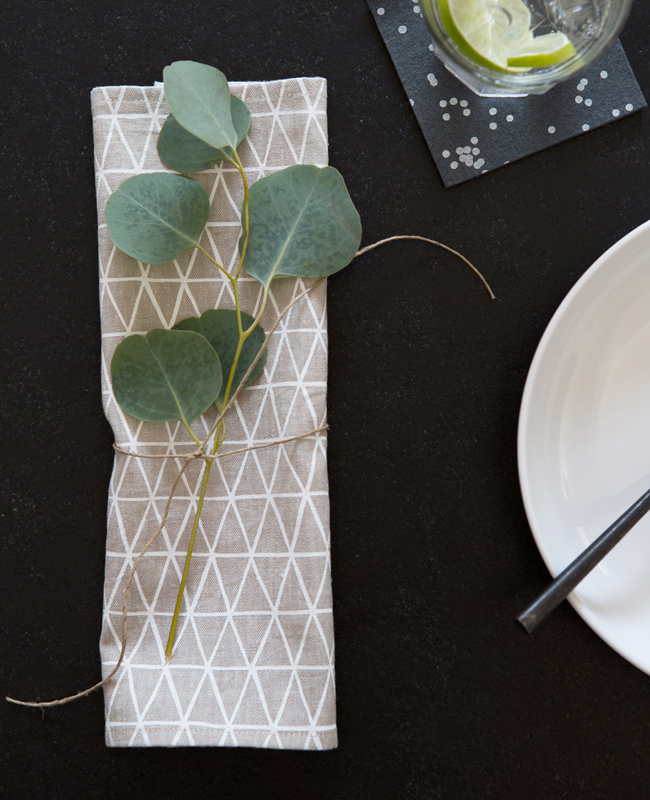 Today, we want to share some simple napkin folding techniques that are perfect for a casual gathering. New Collab with AHeirloom – Cocktail Sets! So pleased to announce my second collaboration with AHeirloom, makers of beautiful cocktail muddles and cutting boards. This time, we’ve created a holiday cocktail set in a vibrant cardinal red. The walnut muddle has been laser engraved with our confetti pattern, and features bright red accents that complement the coasters. The set makes a perfect gift for a budding mixologist, or anyone who enjoys a festive cocktail this time of year. This was a super limited edition, and Amy from AHeirloom told me that the sets are almost half sold out already, which is crazy because we haven’t really mentioned them launching yet — wow! Pick up your cocktail set in AHeirloom’s shop!